Over the next two months or so I will be doing a lot more sketching as I have just enrolled in a short online course for illustrating Children's books, hoping to improve my illustrating skills a little bit (or preferably a lot!). The subject of the illustration is Thumbelina and obviously that is right up my street. If I have any nice results to show I'll definitely share them here on the blog! 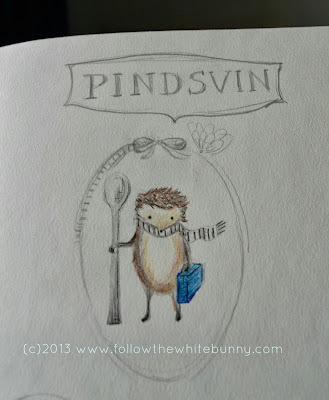 I love P and his spoon :) Good luck with the course and do share!